The latest instalment of the Fantastic Beasts franchise, The Crimes of Grindelwald, takes a deeper and darker dive into the events preceding Harry Potter. The prequel series has plenty of new plot for Potterheads to digest — without the added pressure that the Harry Potter films faced of translating already-beloved books to the screen. And while it might not be canon, the latest Fantastic Beasts flick still rings true to the J.K. Rowling-created universe. 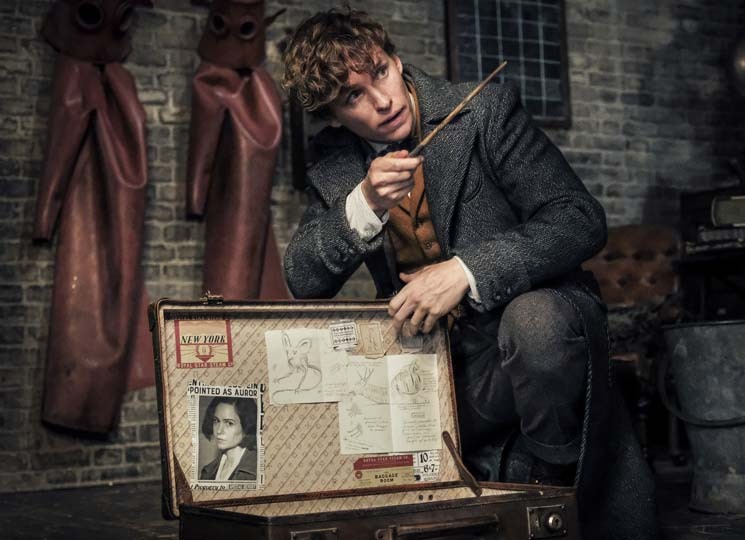 The Crimes of Grindelwald picks up where Fantastic Beasts and Where to Find Them left off — with magical creature lover Newt Scamander (Eddie Redmayne) returning to Europe, where we learn he's been banned from international travel after the havoc wreaked on New York City in the previous film. He's just one of many in search of a young man named Credence (Ezra Miller), an Obscurial, whose repressed magical powers have left him dangerously uncontrollable. At the behest of Dumbledore (Jude Law), Scamander races against the likes of a circus owner, his former flirtation Tina (Katherine Waterston) and dark wizard Grindelwald himself (Johnny Depp) to find the boy, each with their own (some more sinister than other) intentions. But as the search-and-rescue operation unfolds, the larger problems facing both the wizarding and non-magic worlds cannot be ignored. With the two worlds on the precipice of war, Grindelwald is depicted as a power-hungry populist in an extremely politically divisive time. It's too close to real life to not be terrifying, and that terror only builds as the film reveals how easy it can be to sway people to the dark side, whatever their individual reasons for following an evil leader are. Many are happy to subscribe to Grindelwald's pure-blood ideology by the end the movie, and some of those who choose to become followers are particularly unsettling — a testament to the storytelling in Crimes of Grindelwald, which reveals much more about the dark pasts of some of the franchise's most intriguing characters. Ultimately, thrilling action sequences and the suspense of not having the plot previously divulged in a book series make for an exciting watch and another satisfyingly enlightening stepping stone toward the original Harry Potter series.